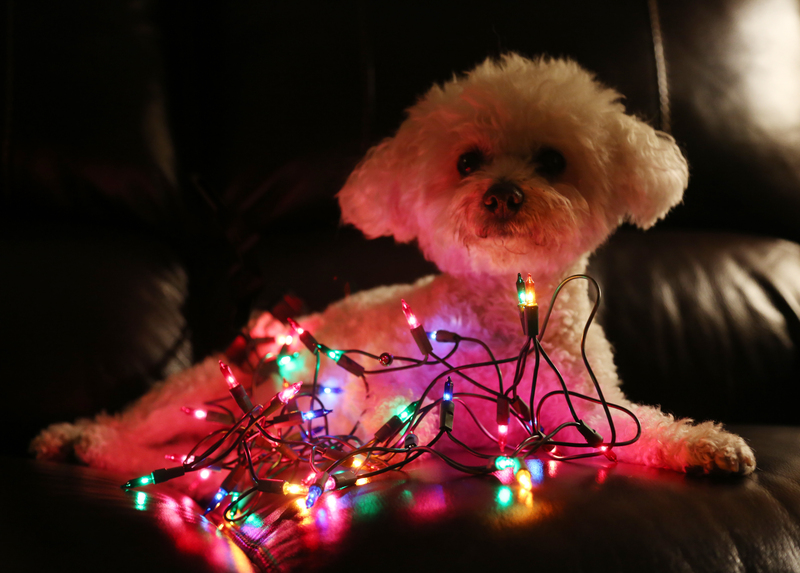 Pros, cons, and tips for those who insist on putting a new family member under the tree. The image of a smiling child lifting a wiggly puppy from a box on Christmas morning is an iconic one. Those of us who love animals know that nothing can bring greater joy than an adorable kitten or puppy, but experts agree that Christmas morning may be the worst time to introduce a new pet. For one thing, a pet under the tree will have a lot of competition. It’s not likely that the child will just get that new pet, after all. The adorable puppy and kitten may have to complete with a video game system or a bike. And even if the new pet is the child’s favorite gift, a trip to grandma’s house later in the day may find the new addition left alone in a crate or a dark room, lonely, confused, and afraid. 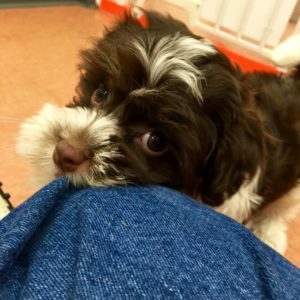 A far better option is a bowl, a leash, and a picture of the pet still safe and sound at the home of the responsible breeder holding it until after Christmas when things calm down and the family has time to prepare to bring it home to a pet-proofed home. This also gives parents time to talk to kids about the responsibilities of having a pet, what their role in cleaning up after and feeding their new playmate. Of course, not everyone will wait. And whether you bring your new friend home on Christmas morning or afterward, these tips can make the new arrival easier. Christmas. It’s the most wonderful time of the year. Unless, of course, you end up rushing your beloved pet to the vet due to an avoidable emergency. For humans, the holidays bring twinkling lights, gaily wrapped packages, rich foods, and adult beverages served by the fire in the company of friends and family who come to call. And while we don’t want to sound like the Grinch, each one of these things presents a possible hazard. Here’s how to avoid them so your pet can enjoy a safe, happy holiday. 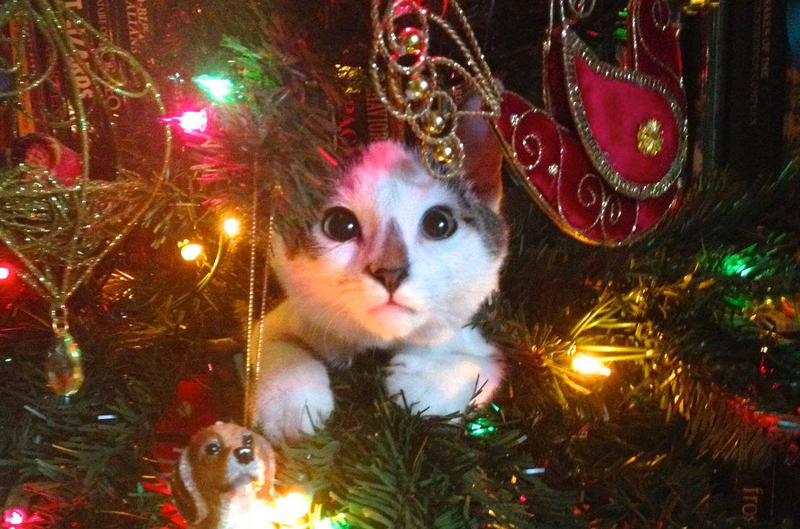 Christmas trees are irresistible, especially to a cat. “Why bring a tree in the house if you don’t mean for me to climb it?” your kitten may ask, and if you have a cat or kitten, you may spend a good deal of the time shooing her away from the tree or fishing her out of it. Climbing within itself isn’t usually a danger, but make sure the tree is secure since a falling tree can hurt your cat, especially if it gets tangled in the lights.